We’d love your help. 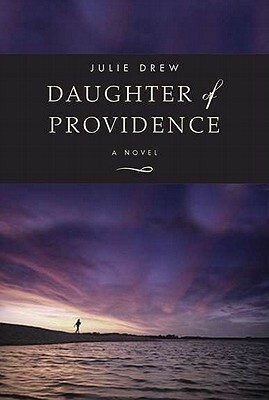 Let us know what’s wrong with this preview of Daughter of Providence by Julie Drew. Julie Drew's extraordinary novel is a breakthrough work in the tradition of Richard Russo and Annie Proulx. 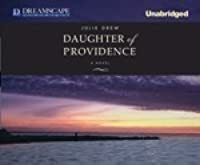 summer, 1934: Anne Dodge, raised by her old-money father in a small Rhode island coastal town, has always been told that her mother abandoned them. But then Anne learns that she has a half- sister, Maria Cristina --and when Maria Cristina comes to live with Anne and her father, ugly truths begin to surface about the family. 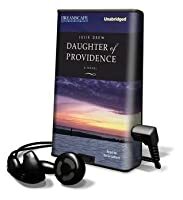 To ask other readers questions about Daughter of Providence, please sign up. So, what did I like? I really quite liked the snapshot of a town on the cusp of the end of the depression, desperately trying to come out of a bad stretch. I liked the tension between the pro-union and labor "bosses" - some of the dialogue was written quite well, and I could see both sides easily. I liked the tension between the immigrants and the "true Americans".... The whole storyline was a very good snapshot of a very difficult period. Anne's difficulty with expectations vs. her own desires was done well, especially since that's not really an issue for women in today's society - even if I didn't exactly like her resolution, and I saw at least part of her outcome from a mile away... She was a likeable character, which is more than I can say for some books Ive read recently. The Dodge family was among the first to settle in Rhode Island back when it was a colony and now, in 1934, they are among one of the most respected families in the seaside town of Milford. But there are secrets in the Dodge family that are too unseemly to discuss such as why Samuel Dodge’s Portuguese wife left him and her young daughter, Anne, fifteen years ago and why, after all this time, Anne’s half-sister, Maria Cristina, has come to live with the Dodges. But Anne, both discomfited and embol The Dodge family was among the first to settle in Rhode Island back when it was a colony and now, in 1934, they are among one of the most respected families in the seaside town of Milford. But there are secrets in the Dodge family that are too unseemly to discuss such as why Samuel Dodge’s Portuguese wife left him and her young daughter, Anne, fifteen years ago and why, after all this time, Anne’s half-sister, Maria Cristina, has come to live with the Dodges. But Anne, both discomfited and emboldened by Maria Cristiana, is no longer afraid to ask questions even though she knows that their answers will challenge everything she’s been raised to believe about her family. This is a beautifully-written novel rich with descriptive scenes of New England and well-drawn characters who illustrate the clash of cultures and classes at the height of the labor movement there. Like the hot summer in which it takes place, the story begins in a deliciously languid manner, allowing the reader to enjoy getting to know each character and his back story. But then, as summer turns into hurricane season, the narrative becomes stormy and unpredictable. At this point I could not put the book down. The story ends with a peaceful epilogue that serves to clear away lingering questions about the events of that summer and how they destroyed the Dodge family. Highly recommended. I've labeled this "historical novel" because of the time period. I think the author did a good job of capturing the tensions of 1934. I've labeled it airplane reading because you don't have to think very hard to keep up with it, and it will keep you entertained. There are sections that are melodramatic, like a made for TV movie. As long as you are not expecting great depth, but just to be entertained, then this is a readable book. It's a first novel, with all the contrivances that many first nov I've labeled this "historical novel" because of the time period. I think the author did a good job of capturing the tensions of 1934. I've labeled it airplane reading because you don't have to think very hard to keep up with it, and it will keep you entertained. There are sections that are melodramatic, like a made for TV movie. As long as you are not expecting great depth, but just to be entertained, then this is a readable book. It's a first novel, with all the contrivances that many first novels have. I really liked this book- it was a quick read that had many layers to it. Like many of the other reviews stated, it was hard to put down. It is a story that takes place in 1934 told in first person by the main character, Annie, and how her life, as well as many others, were affected by a series of lies she discovers when her half sister comes to live with her and her father. Another plus, Julie Drew teaches at The University of Akron! It is a slow start but is worth reading especially if you are from New England ~ more so if you are from RI as I am. Author went to great efforts to catch the sense of coastal Rhode Island living ~ how important the fishing and mill industries were in the 30s. I had a hard time believing that she wasn't a 'native' Rhode Islander! A story that took place in 1934 of a failed mill with the hopes of reopening. Anne is a 24 year old girl that welcomes her half sister of 13 into their home with the father. The girls become very close but the father does not accept the younger daughter. It was a heart felt story, but not a light read. 3 1.2 Story set in Rhode Island in the 1930's. Her mother having left her when she was young, Annie finds out and takes in a younger sister who she believes is her half sister. Her father is not to thrilled, because the younger sister looks just like the wife who left him. Many secrets are revealed and everyone in the family is changed forever. interested!! I could not put this one down!! Very enjoyable. Interesting novel about family ties and secrets, prejudice and need. Set in 1930s Rhode Island this novel explores the plight of mill towns during the depression and the prejudice that keeps even the closest of people too far apart. 3 stars, however the read gets a giant thumbs down for the WORST Portuguese accent ever! It was a cross between Spanish and Italian with a feta topping! The story was just ok, only the RI location kept me from giving up. A well told story of post depression Rhode Island. The book includes many threads; Union vs. struggling company, Catholic vs. Protestant, Portuguese vs. English, and with a death or two thrown in. It managed to incorporate a lot of Rhode Island ambiance and history into a Family story. I took a lot of breaks reading this book. I had a hard time getting in to it. It ended up being okay. OK. The book was mildly entertaining but ultimately predictable. A little slow at first, but worth the read!